According to data from the International Data Corporation (IDC) Quarterly Wearables Tracker, the smart wearables, saw two successive quarters of double-digit growth and shipped 102,000 units in the 2018 Q3. Moreover, thanks to a surge in smartwatch shipment volumes, it has not only helped the category to grow but also gave a new leader in the smart wearables segment as Samsung overtakes Apple to claim the leadership in the 2018 Q3. 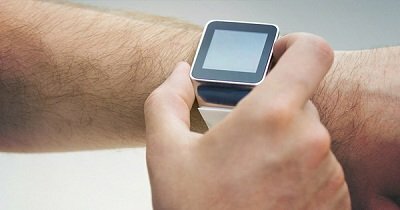 The overall India smart wearables market saw a 17% year-over-year (YoY) growth in the third quarter of the year as vendors shipped a total of 897,000 units in the country. However, the overall shipments declined 11% from the previous quarter largely because of the double-digit decline in the basic smart wearables. smart Wearables companies had procured a high inventory of basic smart wearables, mostly on wristbands in the 2018 Q2, which they cleared in the initial months of the third quarter. While July and August remain flat in terms of new shipments, September did observe a recovery as vendors started preparing the channel for the upcoming online festivals in the country. This helped to limit the decline of the overall category. Xiaomi Maintained its leadership in the market for the 5th consecutive quarter with 41% market share in 2018 Q3. Although their shipments witnessed a decline of 20% quarter-over-quarter, but it saw a healthy growth of 77% in this quarter when compared to the same time a year ago. The newly launched Mi band 3 became the most shipped wearable product ever in the history of smart wearables in India. Goqii continues to hold the 2nd position with a healthy 47% YoY growth and 19% market share in 2018 Q3. It remains the leading player in the commercial segment, as two-thirds of its shipments are billed to enterprises under the corporate wellness program. The newest addition in its platform is the video coaching sessions on various health and lifestyle-related categories, and they further extended this support in local languages. It also launched GOQii Stride, an affordable and first of its kind smart step tracker in India that can be worn on your shoes, which helped the brand to strengthen its portfolio in the consumer segment. Titan phased out its older models and launched Fastrack’s Reflex 2.0 in the 2018 Q3. It helped the brand to get a healthy 70% sequential growth in its overall shipments and able to maintain the 3rd position in the overall smart wearable segment. 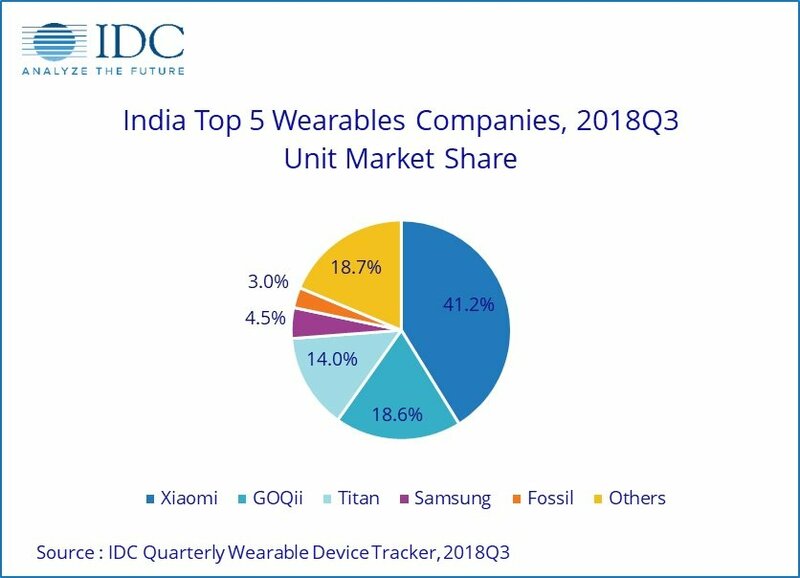 Samsung returned to the top five smart wearable companies in India. It replaced Fitbit as the 4th largest smart wearables company as its shipments got tripled compared to the previous quarter. Samsung bundled Gear Sport and Galaxy Watch with the launch of Samsung Note 9, and later, offered them at a discounted price which helped the brand to get a strong momentum in this quarter.